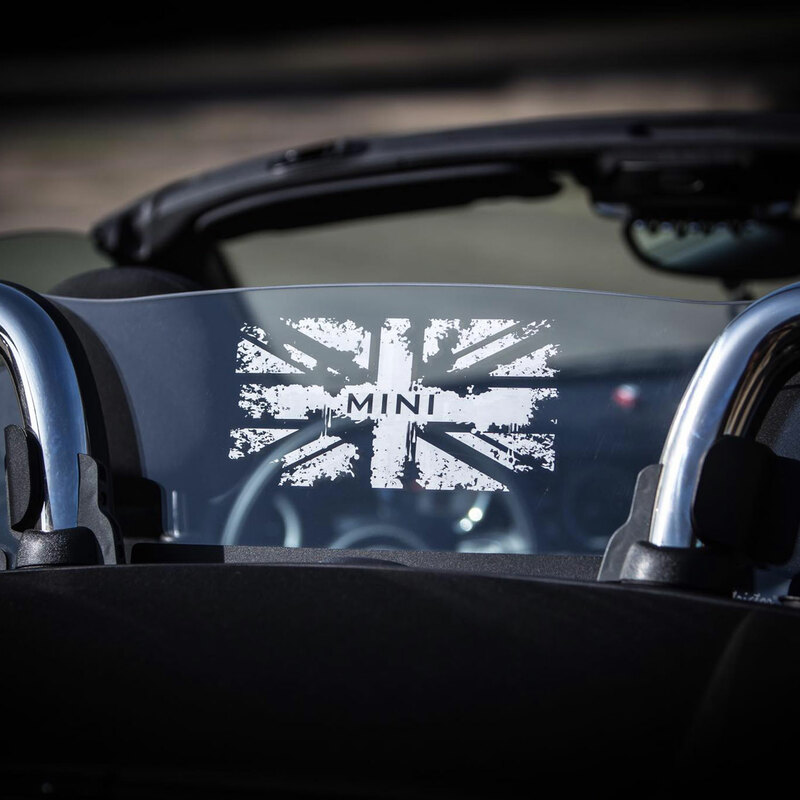 Mini Cooper Roadster 2012-2015 Wind Deflector by WindRestrictor®. 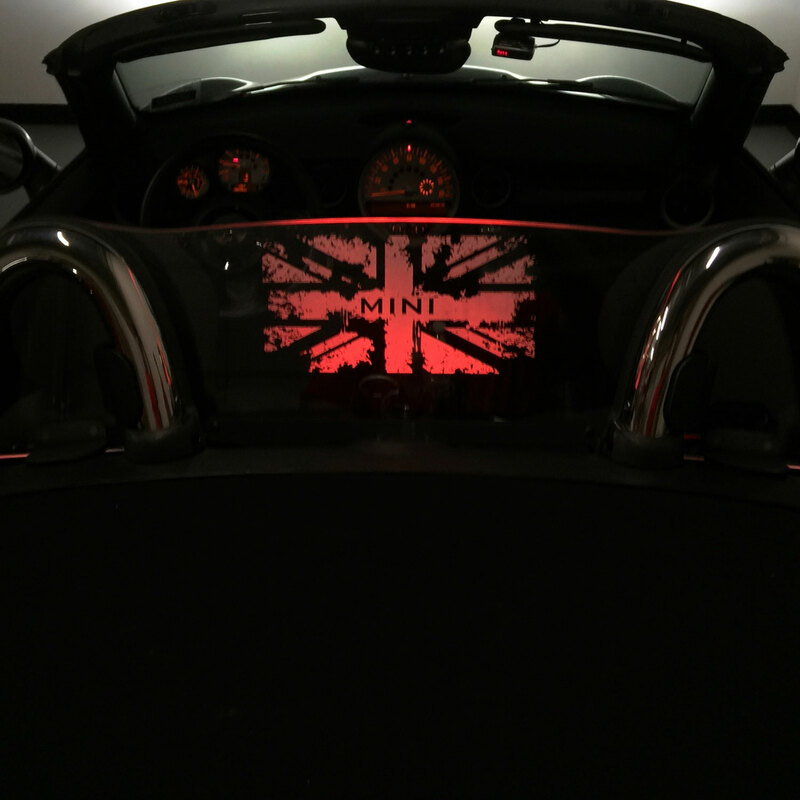 Windscreen requires no drilling or permanent modification! 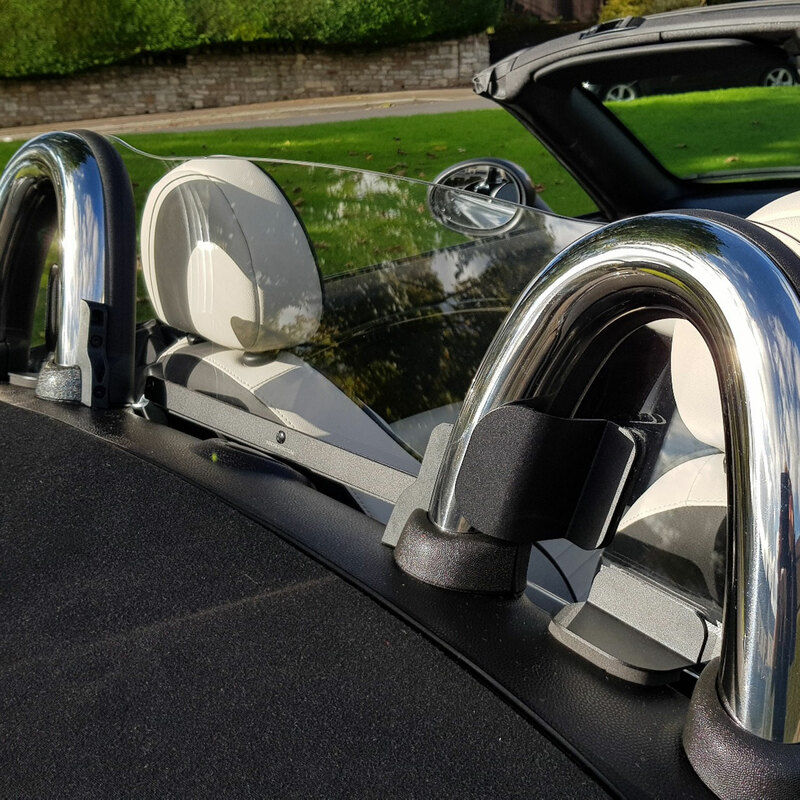 The WindRestrictor® brand wind deflector for the Mini Cooper roadster 2012-2015 mounts uses an intricate bracket system which cups the roll bars for the most sturdy mount on the market. This item is specially engineered to remain in place once installed. 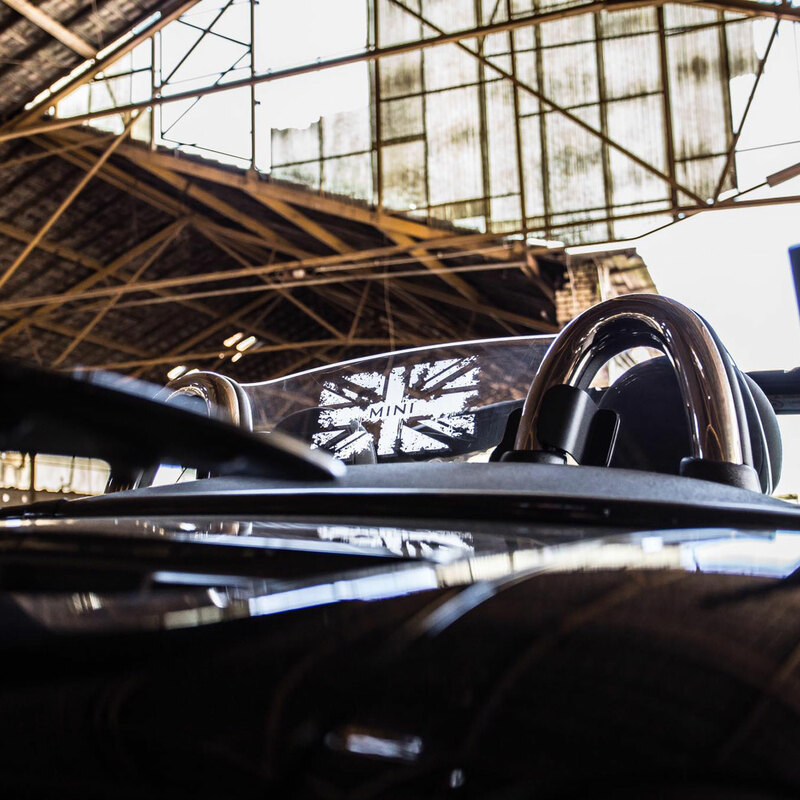 The installation of this windscreen requires no drilling or permanent modification. Which accessories do I need to make the lighting work? None, this product comes with instructions and the wire tap clamp needed to wire directly into your running lights or break lights. Accessories are simply add-on features. 12 Volt Plug: This item gives you the ability to simply plug the product into your cigarette lighter port. 9 Volt Battery Pack: As simple as it sounds, on/off switch built in. Small and can be hidden out of sight. Dimmer Control Module with Key-fob Remote: You will be able to turn the unit on and off with remote control and control the intensity of the lighting as well. Extreme Lighting Kit: (Under Color Selection) The extreme light kit comes with a remote control which will give you the ability to set the product on any given color. It also has an on/off switch built in. The module features several different "light show" options as well including fading, blinking, etc through multiple colors. This option requires a minimum of 12 volts for power, so it can be hardwired or used in combination with the 12 volt plug. Why aren’t there any lighting options for the smoked tinted version? The illumination will not work in combination with the tint. If interested, you may have a local tint shop tint a single side of the product to match identically to the tint you already have on your car. If you want personalized text or graphics please place your order direct with Windrestrictor .